TINI (for TIny Network Interface) is a complete TCP/IP node with a Java JVM all on a SIMM module. TINI includes Flash, NVRAM, ethernet, RS232, CAN and iButton, plus a Java JVM, all on board. 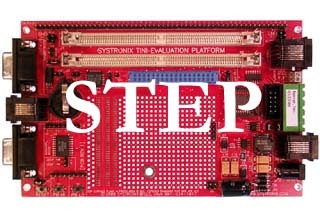 The Systronix TINI Engineering Platform (STEP) is a 100x160 mm development & prototyping board. 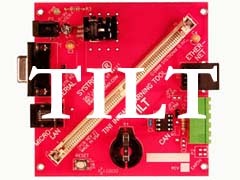 The Systronix Tini Initial Learning Tool (TILT) is a simple 100x100 mm socket evaluation sockets board. Click on the boards to the left for specific information and to order. Click here for a socket board feature comparison. Try the Systronix demo TINI system. The IP address is 166.70.144.45 - you can ftp from a command prompt (not a browser) since you must log in as user=root password=tini. You can also telnet in. Even if it's unresponsive to http, ftp or telnet, you can generally ping it. If it can't be pinged, please email us.